WikiLeaks has made their first dump of documents that Crooked Hillary has been trying to hide since the Democrat Primaries. These emails contain parts of the Wall Street speeches that Hillary refused to release when confronted to do so by Bernie. They confirm every horrible thing people suspect. In the “at least she is honest” category, Hillary admits she lies to the public while telling donuts and backers something else in private. 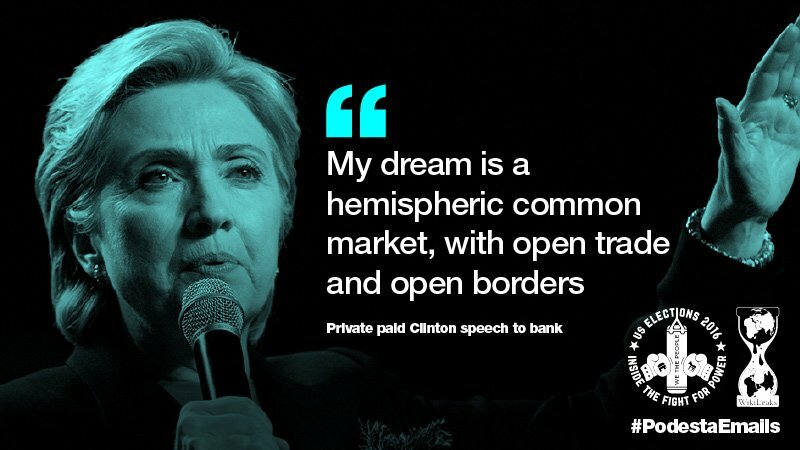 Finally, while she says she opposes TPP and other bad trade deals, she said in private she wants NO BORDERS. This is after only a few hours. More will be coming soon I am sure.